I've been staying at the U.S. Forestry Service's Paint River Forks Campground in the Ottawa National Forest which is in the westernmost part of Michigan's Upper Peninsula for the last five days and I'm not leaving until my water or food runs out! It's that great of a camping experience and, as a plus, with the exception of one group of day picnickers I've had the campground completely to myself for five days now. 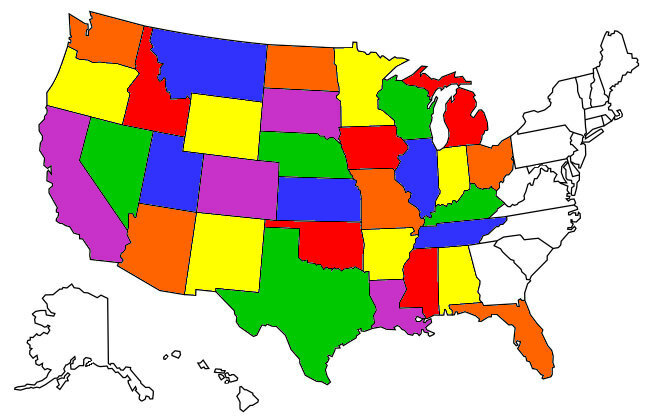 Pretty much right on the Michigan - Wisconsin border. Comprising just under a million acres of forest, the Ottawa National Forest was sold by the Ojibwa tribe to the federal government in the 1854 Treaty of La Pointe. The National Forest was created in 1931 by the US Government and is administered by the USDA's Forestry Service headquarters in Ironwood, MI. 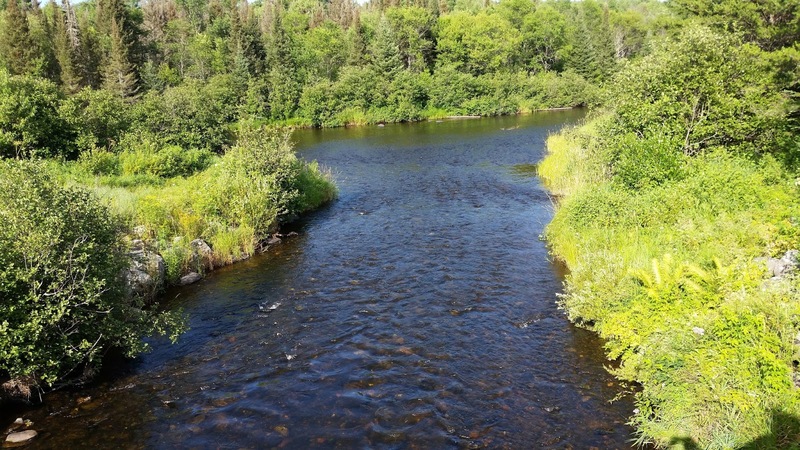 The Paint River ranks as one of the Upper Peninsula’s most family-friendly rivers. 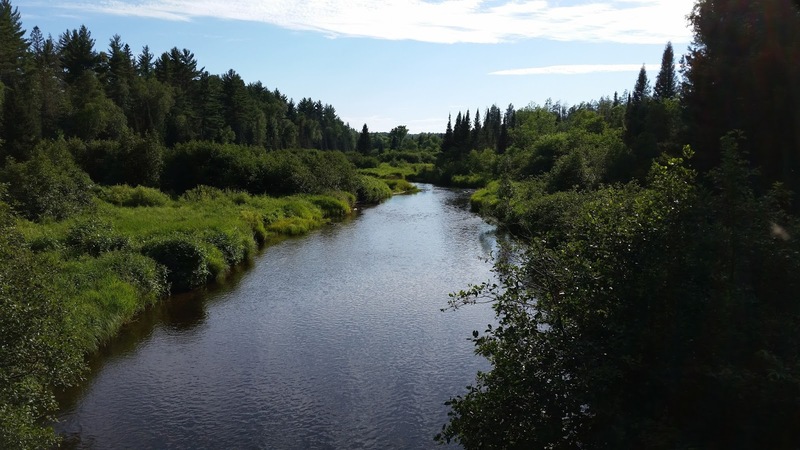 An important tributary of the Menominee River, the Paint flows through remote forestland for much of its length, passing through patches of both Ottawa National Forest and Copper Country State Forest. The Paint. It's only about 18 inches deep by the campground. 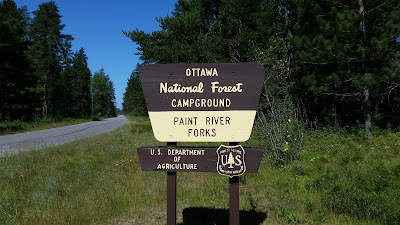 The actual "fork" the campground is named for. 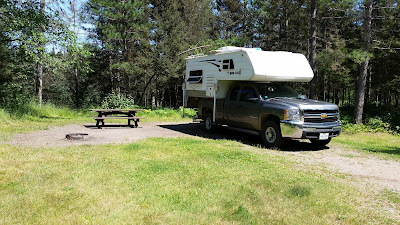 After reading about the campground I drove to it on a Saturday fully expecting it to be full, imagine my surprise when, on a picture perfect weekend day, I pulled into a deserted campground! I immediately copped one of the two sites that back right up to the river and settled in for a great five days. Arrive early and snag a river site! 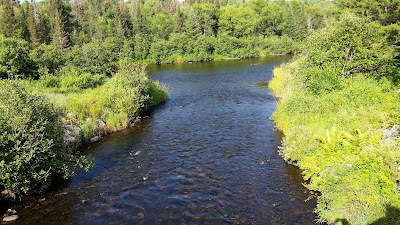 The Paint River is reputed to be one of the UP's premier trout fishing rivers so I busted out my Shakespeare travel spinning rod and could find no evidence that fish exist in the river. O-fer. In it's defense the water was pretty shallow around the campground and the trout probably live in it's deeper sections, at least according to my Dad. 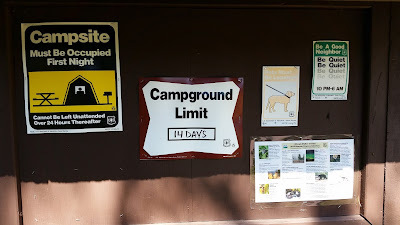 The camp billboard--note the 14 day limit. If you had two cars with your group you could drive one downstream five miles to the Blockhouse Campground and leave it so you could float-canoe-kayak from the Paint River Forks boat launch to the Blockhouse, bring Deepwoods Off or Cutters as you're in the middle of a forest and deer flies seem ever present. 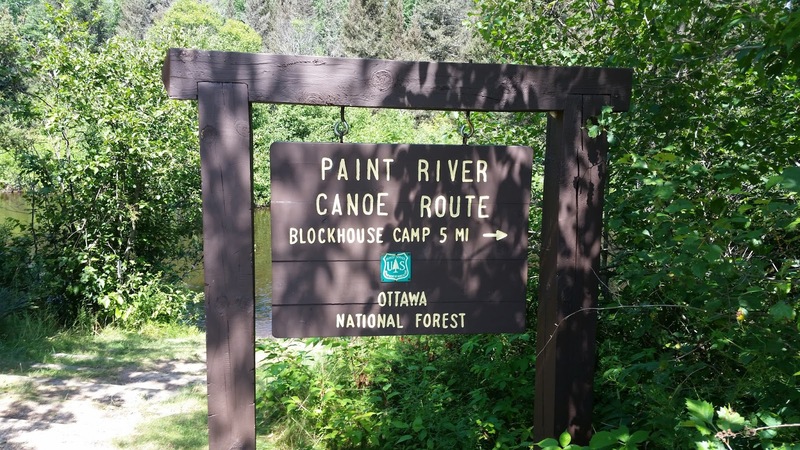 Sign by the boat launch giving the Blockhouse as a canoe destination. In a lot of my reviews I mention my intent to return to camp at the reviewed campground but sometimes I doubt I ever will. I definitely am coming back to the Paint River Forks Campground! 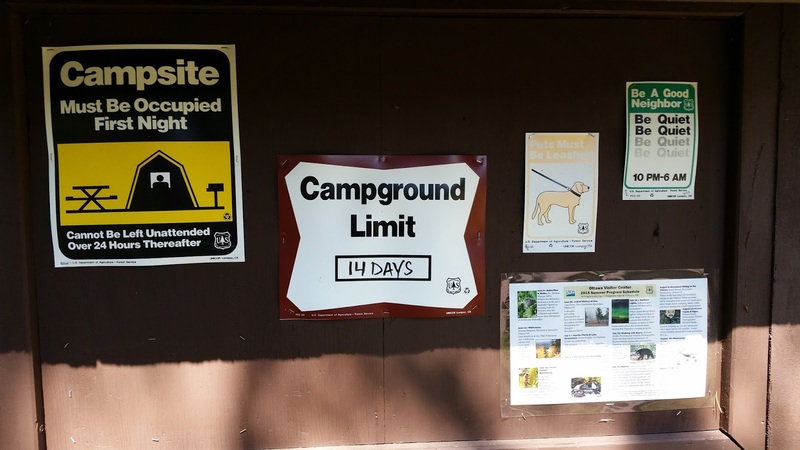 If you plan to camp there remember to bring plenty of insect repellent and some large garbage bags as there is zero garbage service there, not uncommon with isolated Forest Service campgrounds.